AkinovA, an electronic marketplace for the transfer and trading of insurance risk, has announced the addition of Daljitt Barn to its Advisory Board. Barn is the Global Head of Cyber Risk for Tokio Marine Group and an industry leader in cyber insurance and cyber risk, combining insurance value-chain expertise with a cyber security technology background. At Tokio Marine, Daljitt is responsible for cyber risk quantification and control, as well as innovation and partnership opportunities. 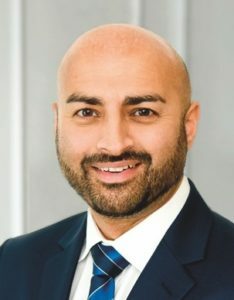 Previously, he was Munich Re’s Head of Cyber and was instrumental in setting up their cyber team within corporate underwriting, creating a Munich Re-wide cyber community and developing the group-wide cyber insurance strategy. Before Munich Re, Daljitt was a director at PwC where he built and managed the cyber risk team in the insurance and investment management sectors. Daljitt’s primary focus will be to assist AkinovA in developing its marketplace as the leading platform to transfer and trade cyber risks. Drawing on his in-depth knowledge of the evolving and dynamic cyber risk market, Daljitt will help AkinovA drive growth and innovation in the cyber insurance market so it can better serve the needs of the global risk market.